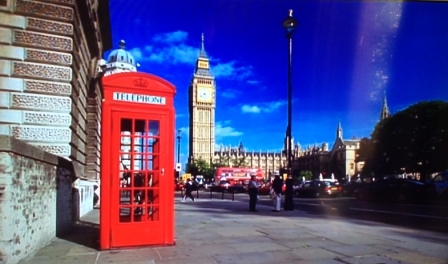 Not only will phone box numbers be reduced, today’s news tell us that Big Ben (in the background) will cease to chime for 4 years while undergoing repairs. I woke to some sad news today – BT are phasing out UK phone boxes. Well it had to happen. I was in Poland recently and saw no phone boxes and wondered if this was going to happen elsewhere. BT is to scrap half of the UK’s remaining 40,000 telephone boxes and focus on the ones in locations where people are more likely to use them. In 1992 at their peak before mobile phones became popular, there were 92,000 phone boxes in the UK. Telephone boxes still handle 33,000 calls a day, but one third of kiosks are never used to make a call. BT said many phone boxes had become a burden and were expensive to repair and maintain. “BT is committed to providing a public payphone service, but with usage declining by over 90% in the last decade, we continue to review and remove payphones which are no longer used,” a BT spokesperson told the BBC. BT intends to scrap the 20,000 telephone boxes over the next five years. Out of the 40,000 phone booths still working, 7,000 are the traditional red phone boxes designed in 1935 to commemorate the silver jubilee of King George V.
More than half of phone boxes lose money and the number of calls is declining by more than 20% per year. The cost of maintaining telephone boxes annually is about £6m. BT is responsible for repairing damage to the kiosks, including replacing glass panes and broken receivers, as well as removing graffiti, rubbish and human waste. It is estimated that 93% of all people in the UK now own a mobile phone, and 98% of the UK has 3G or 4G mobile internet coverage. However, phone booths are still used by children, the elderly, people who can’t afford mobile phones, and in emergencies when smartphone batteries go flat. If there are two kiosks within 400m walking distance of a site, BT is allowed to remove one, as long as there is one left. But if the telecoms provider seeks to remove the only phone booth on the site, Ofcom rules state BT must inform the public and consult with the local authorities. The authority then has 90 days to object, which is known as a “local veto”. “Payphone removals are carried out in strict adherence to Ofcom guidelines and, where appropriate, with the consent of local authorities. Where we receive objections from the local authority, we won’t remove the payphone,” said BT. In areas where telephone boxes are not being used, many local communities have transformed and preserved phone booths by buying them for £1 from BT under the Adopt a Kiosk scheme. So far, more than 4,000 kiosks have been repurposed as mini-libraries and art galleries or to house defibrillation machines, information centres, shops and exhibitions. A much-loved but almost obsolete feature is set to vanish from thousands of British streets when BT presses button B to cancel calls in 20,000 phone boxes – a reference that would have to be explained to an entire digital generation which has never made a call from a public phone. Faced with soaring maintenance costs and plummeting usage, BT plans to scrap half of the UK’s remaining public telephone boxes, many of which are now never used for their original purpose. The phone boxes were once lifelines to the wider world at a time when many homes had no landline and the very idea of a mobile phone came from the wilder shores of science fiction. Today many are the sad and smelly last resting places of pigeons and half-eaten chicken takeaways, or worse. Some 33,000 calls a day are still made from phone boxes, but about a third are only used once a month, and many are never used at all. Of those in more regular use, few earn enough money to cover maintenance costs. The number of calls has been dropping by 20% a year, while the cost of cleaning, replacing broken glass panels, repairing vandalised receivers and removing graffiti and rubbish has risen steadily to about £6m a year. “BT is committed to providing a public payphone service, but with usage declining by over 90% in the last decade, we continue to review and remove payphones which are no longer used,” a spokeswoman said. The boxes would only be removed according to Ofcom guidelines, she said. If there is no other payphone within 400 metres, the local authority must be notified, and the box would only be removed if there were no objections. Many of those that will survive the cull are traditional red cast iron boxes, 2,400 of which are Grade II listed buildings. The most famous design, cherished by collectors when they are decommissioned, is the K6 kiosk, created in 1935 by Sir Giles Gilbert Scott and inspired, bizarrely, by a tomb in Old St Pancras churchyard created by the Georgian architect Sir John Soane in 1816 to mark his wife’s grave. At their peak there were 92,000 payphones across the UK, and queues in the street were a familiar sight at the busiest ones, where those impatient for their turn rapped indignantly on the glass to rebuke chatty callers. BT is encouraging communities to reprieve some of those now condemned by paying £1 to adopt them so that they might join the 4,300 that have found new lives as tiny libraries, art centres, sites for lifesaving defibrillation equipment and, as in a particularly thrilling Archers plot line, local information points. The cost of using a public phone box was measured out in old copper pennies for decades. T0day the minimum charge is 60p, which includes a 40p connection charge, and would be enough to pay for many calls and texts from most mobile phones. This entry was posted in Comment, Media, News and tagged UK. Bookmark the permalink.